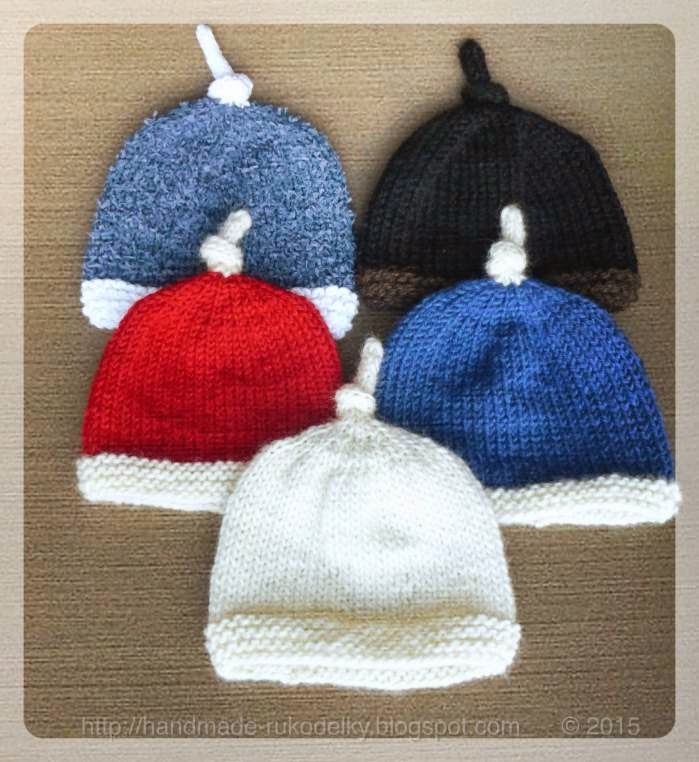 You have seen them on the internet - cute hats with little antennae twisted into a knot. I got inspired by the images and made my own. Several of them. Can't make enough of them. They are so adorable. Especially kids are adorable wearing them. They are fairly easy to make, that is if you know how to make a knit stitch, purl stitch, and if you know how to knit two together, cast on, and bind off. You also need to know how to hold and knit on double pointed needles, and/or circular needles. They make wonderful gifts. I will be giving two of them away next week. This hat is made for about 3 months old baby. I casted on 50 stitches but you can make the hat bigger by adding 10, 20 or 30 extra stitches. Each 10 extra stitches would make the hat bigger by about 2.5". So if you cast on 60 stitches the circumference would be about 15.5"(and the hat could stretch up to about 18". If you have a hard time with patterns - you can knit along MY VIDEO - LEFTIES HERE & RIGHTIES HERE. Enjoy. And please, share with your friends and family. Rnd 7-?? 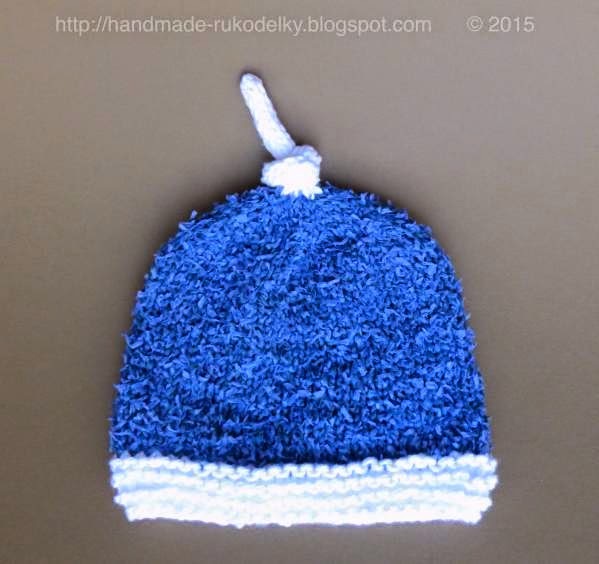 K50, until the height of your knit (hat) measures 5". BO by pulling yarn through all stitches, weave in the ends. Tie the knot and give it to some one.